I will never get how a politician whose background is education and who’s nearing the Lebanese legal retirement age has the qualifications to head the Lebanese department of Sports and Youth, but here we are – as usual – and that person is Mohammad Fneish. The Lebanese minister of sports and youth is usually inconspicuous. They sponsor a few tournaments here and there, issue statements in support of our national teams every now and then, but the sports situation in the country is improving at a pace slower than a snail’s, the clearest indication our athletes not bringing in any medals at the Olympics and barely receiving governmental aid. In fact, those athletes had to pay for some of their expenses at the previous Olympics. Article 1: Resolution 67/1/2016 on 10/4/2012 regarding MMA is annulled, and so the said game becomes one of the non-practiced sports in Lebanon. Article 2: It is prohibited to any party, and under any title, to hold games, competitions and events of MMA or any similar sport in which a cage and violence are used, and that, under the risk of applying the laws in force. Article 3: This resolution will be published and divulged where needed. Before going into the benefits of a sports like MMA, I can’t but note the irony in anyone banning a sports in Lebanon because it’s too “violent.” Our basketball games have a tendency to break out in riot just because. Our football games have the same tendency as well. MMA is one of the few sports in the country that is not synonymous with “violence” at this point, but it’s the one that banned. It was a few weeks ago that all hell broke loose between Homentmen and Riyadi because the latter team’s fans raised Turkish flags to tease the Armenian-Lebanese team. Riyadi and Sagesse basketball games have been held more frequently without fans than with them because of how disruptive and violent they tend to become. Football games featuring Al Nejmeh and Al Ansar have also often managed to turn violent. What’s next, should we ban sports altogether just because the actions of a few individuals taint the bigger picture? The even bigger irony is that the politician banning MMA is member of a Lebanese militia whose ideological existence is mostly based on the premise of “resistance,” which is inherently violent. How often does Hezbollah brag about its missiles, about its power to stop its enemies in their track? How many times has that party threatened the Lebanese interior to get its way? How many times has that party, in the past decade, launched mini civil wars against fellow Lebanese to get its way? I guess violence is only as such when it’s between two consenting adults in proper gear, but never with tanks and brigades in neighboring countries. If anything, Lebanon needs MMA for the many benefits it contains which would better our society. It’s a discipline that has been shown to grow the confidence of the person training in it. It teaches them self-defense and is a good medium for them to release pent-up energy. It boosts self-discipline and forms bonds of friendships between those who are training and is known to be a huge stress- relief. If anything, MMA controls the violent tendencies that we all have inside us especially in a country where daily life serves to boost our anger. Punches and kicks are not “violent” when they’re performed in a controlled medium. It’s like they want people to be on edge all the time and not want them to find media in which they can release all the crap they have to deal with daily because of the inadequacy of our governance. People can get hurt doing all kinds of sports. You’d think a minister of sports and youth would know that. 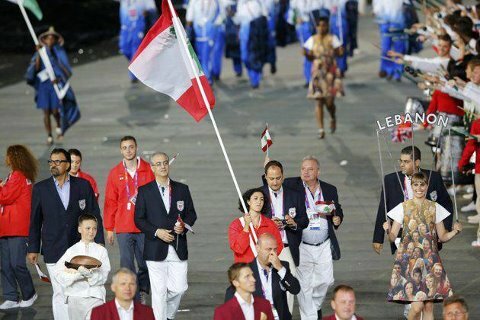 Rio’s 2016 Olympics had their big opening yesterday, or as the joke goes it was similar to an average Lebanese wedding. Critics are hailing Brazil’s celebration of its history without shying away from the bits that are usually covered up such as slavery, and thirsty people are drooling over the flag bearer of a Tonga, which is a country of 169 Polynesian islands. Richard Mourjan – Canoe Slalom. Chirine Njem will be the first woman to represent Lebanon in a Marathon race. Richard Mourjan will also be our first time participating in a Canoe Slalom. Of the nine aforementioned athletes, Ray Bassil and Mona Sheaito participated in London’s 2012 Olympics. The last time Lebanon won a medal at the Olympics goes back to 1980, at the Moscow olympics, where Hassan Bechara won a bronze for Greco-Roman wrestling. 1980 (Moscow’s olympics): Hassan Bechara (bronze medal in wrestling). The country has never had an athlete win a gold medal. I guess this is not exactly shocking given how little investment our governments put into sports in general and into nourishing the many athletic talents that our country has. Even sending athletes to the Olympics has proven, over and over again, to be “complicated” for our government. Those that went to London in 2012 reportedly had to finance a big chunk of their participation. So it’s to that backdrop that it seems unbelievable that Lebanon may have its first shot at a golden medal. As reported by CNN, since her disappointing start in London back in 2012, Lebanon’s Ray Bassil has been working really hard, despite the obstacles set forth by her own country, to get better at what she does. She has since collected medal upon medal, rising to become the world’s #1 female trap shooter. 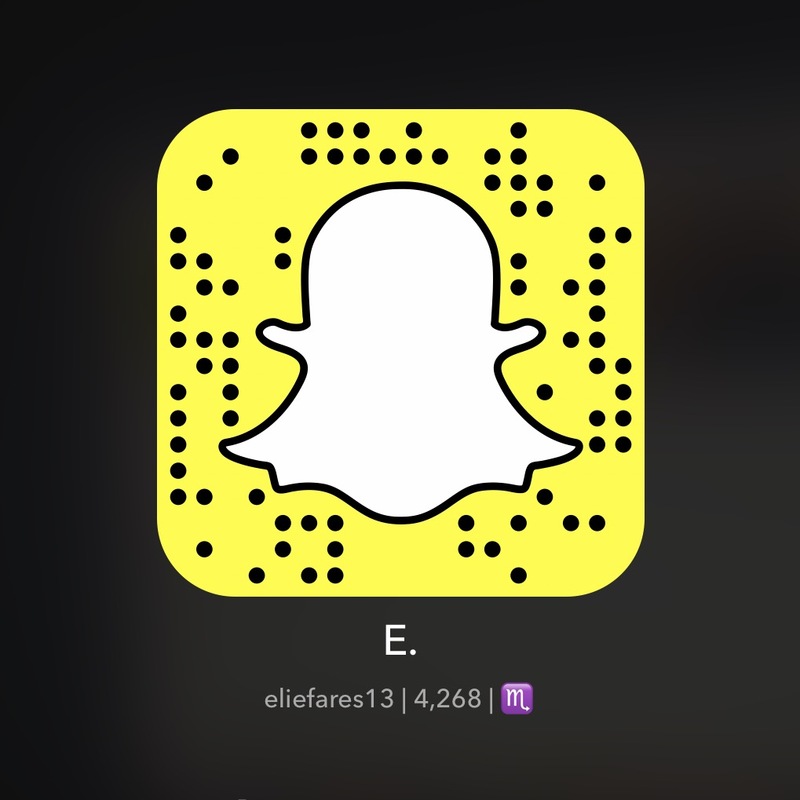 Ray will be competing on Sunday August 7th (tomorrow) at 3PM Beirut time. * Mariana Sahakian – Table Tennis. * Gabriella Doueihy: Swimming (women’s 400m freestyle). * Anthony Barbar: Swimming (men’s 50m freestyle). * Chirine Njem: Women’s marathon. * Ahmad Hazer: Men’s 110m hurdle race. Of course, it wouldn’t be Lebanese if our participation went drama free. Lucky for us, the drama started on day zero with the Lebanese and Israeli delegations nearly fighting over being assigned the same bus to be transported to the opening ceremony. The Times of Israel were the first to report on the issue (link), before Lebanese media picked up on the news. Israelis were appalled – gasp – and found the precedence to be “dangerous.” Meanwhile in Lebanon, the news is receiving more comical responses. There’s not really much to read into it, and the only entity to blame for assigning the same bus for the Lebanese and Israeli delegations is the organizing committee that figured putting two enemy countries that recently commemorated the ten year anniversary of their latest war together on the same transportation vehicle was a good idea. The Israelis can go on and on about how being blocked by the Lebanese delegation from accessing the bus is “unsportsmanship” behavior. And we, as Lebanese, will have differing opinions about this depending on where we fall on the political spectrum. But the fact of the matter is and will always be: it’s not unsportsmanship to protest Israel’s violations of our land, our people, and the land of the people that have been forcibly made refugees in our country. The Olympic games have never been devoid of political tone, and this is just another manifestation of that. The Lebanese athletes sharing the bus with the Israeli delegation would have also had repercussions in Lebanon, as it is illegal for us to have any sort of interaction with Israelis. Or have we forgotten the international selfie scandal? So in summary: we have nine athletes making us proud, one of them might make Lebanese history, and we’ve already fought with Israel. Just another typical day in Lebanon. Here’s another concept that it seems to be tough for Lebanon to grasp: sportsmanship. For the second time in two consecutive games, Lebanon’s top 2 basketball teams were found at each other’s throats as the games they were playing ended. You’d think someone would have learned from the first round but it seems we were too foolishly optimistic. One can not hope for any form of civility in this country, even in sports. Subsequently, the very civil crowds attending the game decided to join in on the fun. Next thing you know, the players had joined in on the fighting while LBC’s Gayath was lost for words commenting on the absolutely beautiful scene in front of him. But does the story of the fight, regardless of sides, even matter? The fight, however, is not that of a simple two points scored. 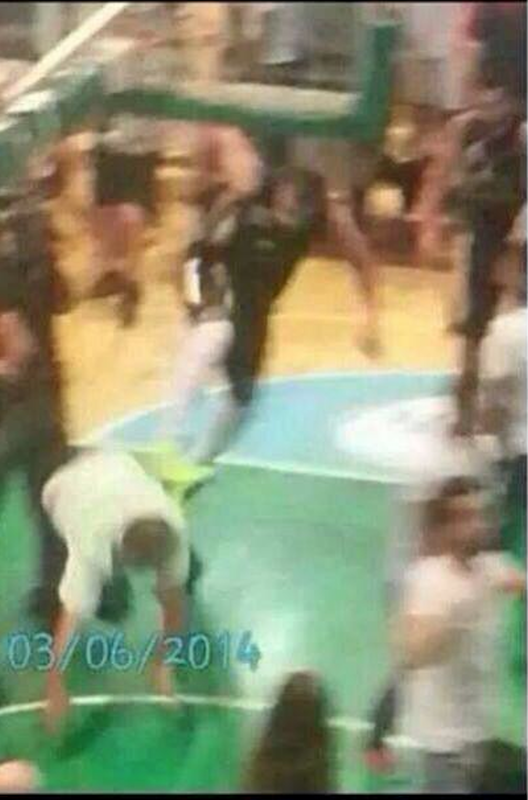 Prior to the game at hand, Sagesse’s fans were circulating the following picture online to flex their muscles. Who can beat them if Jesus was on their side? The chants by Riyadi’s supporters at the previous game are the other side of the coin. It felt like 1997 all over again when the fights were a constellation of sectarian-political causes. Christians versus Muslims. Lebanese Forces persecuted as they were at the time versus Future Movement, then working with the Assad regime. Our Lebanese time machine still works. We always find ways to put ourselves back in time, because who doesn’t like familiarity? It’s weird how these two teams, belonging to two political parties that are currently in bed with each other, still manage to hate each other as much as they do. You can’t help but wonder what would have happened had Riyadi been a Shiite-centric party with Hezbollah funding? Count your lucky stars people the party of god has not ventured into basketball yet. The main problem at hand is not that Lebanese Christians hate its Muslims (and vice versa) or that the Lebanese Forces and the Future Movement cannot eradicate the history both of them share by a few years of alliance. The problem is that these problems, held at bay with Lebanon’s fragile politics, are finding their way to erupt at something as meaningless in the grand scheme of things as a championship basketball game. What do these people have left for when something major actually happens? Will they bring out their tanks and missiles and work their way through the argument then? The problem is that our sports are so infiltrated with politics they’ve lost the true meaning of what sports should be: something to bring people together in a friendly competition. If you support Sagesse, one can assume with a high degree of accuracy that you are Christian and prefer the Lebanese Forces politically. If you support Riyadi, one assumes you’re Sunni and a fan of Hariri. Is that how it’s supposed to be? Isn’t sports about supporting the team you believe has the best game not the one which satisfies your sectarian itch? It hasn’t even been long since the world basketball federation lifted the ban on Lebanese basketball for the clear infiltration of the sector by our horrid politics. The many months the sector spent in limbo, not knowing whether it would be able to launch again or not, were not enough to teach anyone a lesson. No one learned, fight after fight, that there’s a tangible need to raise ticket prices. No one learned that there’s a dire need for new regulations that limit politics and political money, effectively removing that extra player each team has on court. It’s not a surprise though that there are no lessons learned because since when do we as Lebanese actually do that? Mustapha of Beirut Spring is right. We don’t really care about the Olympics. And there’s no explanation for it. The only reason I tuned in to the Opening Ceremony was because I read on Twitter that the British were doing an excellent job at it. The moment I tuned in, Lord Voldemort was terrorizing children in an homage to British literature. I, of course, was transfixed and decided to persevere. However, what we do care about is our men and women who make us proud in representing Lebanon with all that they can, despite the non-existent support they get from almost all sports-related institutions and our government first and foremost. 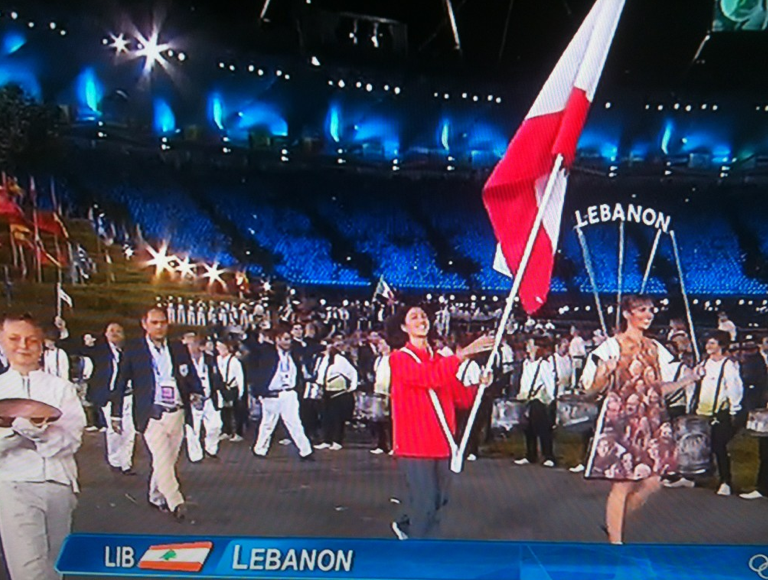 These are Lebanon’s athletes making their entrance at the Olympics and making us proud. They may not win anything but the fact that they are there, against all odds, is honorable in itself. An 11th athlete, Fadi Tannous, passed away a few days ago. (Details). May he rest in peace. (Click on their name for a profile) and I wish them all the best of luck. If you need a link to stream the Euro 2012 final, set to start in a few minutes, I’ve found one for you. I’m Italy all the way! Remember way back when I told you how I, as an Italy fan, was getting ready for my team’s opening game against Spain in the group stages? I had my jersey ready. I had the flag at my disposal. Now that my team has reached the final after an awesome win against Germany (which I was deep-down expecting but went about lowering my expectations and doing some necessary pre-game damage control, just in case. Those Lebanese football fans can sure be a pain when you lose), how will I get ready for the big finale? Well, if anything, this Euro tournament has shown that you cannot dismiss the Italians easily, which many (including some of their supporters *raises hand* have done). 1 – Some hadn’t expected Italy to get past the group stage. They did. 2 – Some didn’t expect Italy to then beat a very mediocre England in the quarter finals. They dominated England and were unlucky not to have won in the game’s original time. Many had even predicted a 3-0 score for England. Those same people are predicting a 3-1 Spain win today. 3 – Once Italy reached the semi-finals against Germany, the only thing you could hear is resounding confidence how this will be the end of the road for the Italians. But it was far from it. 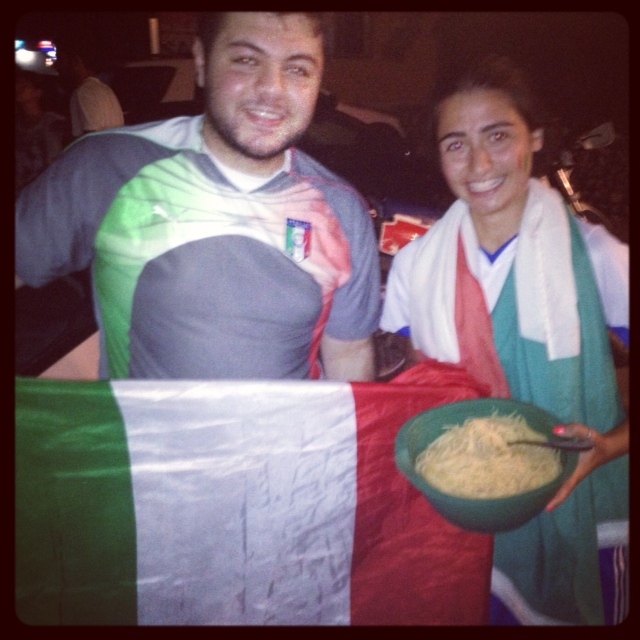 The Italians should have won with more than two goals. So what’s my mentality going in to the final? Well, I cannot but have a faint tinge of panic (or a lot of panic). But I am proud of what they have done in this tournament. Italy have proven that they are so much fun to watch. They are attacking, creating chances. Not just scoring on a counter-attack and parking their legendary bus, stopping any team from even thinking about scoring. On the other hand, Spain have been boring this Euro tournament. Their game against Portugal was such a pain to watch that I ended up catching up on my reading and blogging about a festival named Wickerpark before they reached the penalty shoot-out during which I still had no idea which team I wanted to advance. Out of the six goals they scored, four were against the same team (Ireland). Their showing against all the other teams they played (Croatia, Portugal, Italy) was far from impressive. Am I confident Italy will win today? Hardly. But regardless of what the result of tonight’s game turns out to be, I – as a supporter of the Azzurri – am extremely happy with what they’ve accomplished and hope the cherry on top will be them winning. Rising from the tournament’s underdogs to stars, this Italy side has proven that one doesn’t simply take them lightly. The game tonight will be great to watch, as was the group stage game between both teams. I think Pirlo will be as great as he was in all of this tournament’s games. I think Balotelli will shine again. I think Buffon will prove, yet again, why he is the world’s best goalkeeper – bar none. But regardless of what happens: FORZA EFFIN ITALIA! I can’t wait to see what Prandelli does with Italy in the next World Cup. As the Euro 2012 tournament draws close to an end, the second and last semi-final game is here between football rivals Germany and Italy. Germany haven’t beaten Italy since 1995 and they’ve never beaten them in competitive games. Ever. On the other hand, the Italians should be extremely tired after their 120 minute game against England in the quarter finals. The game is up in the air. 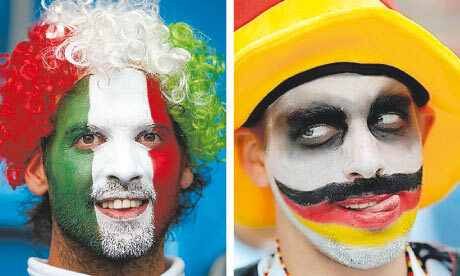 As an Italy fan, it saddens me to predict a Germany win. But a streak has got to end sometime, no? Either way, here’s a link to watch the game online (here).